2016 was a landmark year for the biotechnology industry as it was for the first time that the revolutionary CRISPR-Cas9 gene-editing technique was used in humans. With more human trials involving CRISPR-Cas9 scheduled to be conducted, I believe 2017 will be the year when the technology’s potential to treat human diseases could receive strong clinical validation. CRISPR-Cas9, which provides scientists with a breakthrough tool to alter or replace the DNA of nearly any living organism with unprecedented precision, is one of the most promising scientific discoveries of the past century. This is why there was considerable excitement in the biotech world when news broke that scientists in China had injected cells modified with CRISPR technology into a patient suffering from an aggressive form of lung cancer. In the China trial, scientists used CRISPR technology to edit out genes that were preventing the lung cancer patient’s immune cells from attacking malignant cells. These modified immune cells were then injected back into the patient to help fight back the disease. The trial was seeking to primarily establish the safety of using CRISPR-based genetic modification to fight cancer. Beyond cancer, CRISPR holds the promise of therapeutic applications in tackling hitherto incurable genetic disorders such as haemophilia, muscular dystrophy, sickle-cell anemia and cystic fibrosis, as well as chronic conditions like Type 2 diabetes and Alzheimer’s disease. The fact that CRISPR has been able to capture the popular imagination is evident from the fact that the four scientists who pioneered the development of the CRISPR gene-editing system were named runners-up for TIME magazine’s 2016 Person of the Year! They lost out to Donald Trump. What makes CRISPR such a breakthrough innovation is the fact that it makes gene editing faster, easier, efficient and cheaper than previously available technologies. 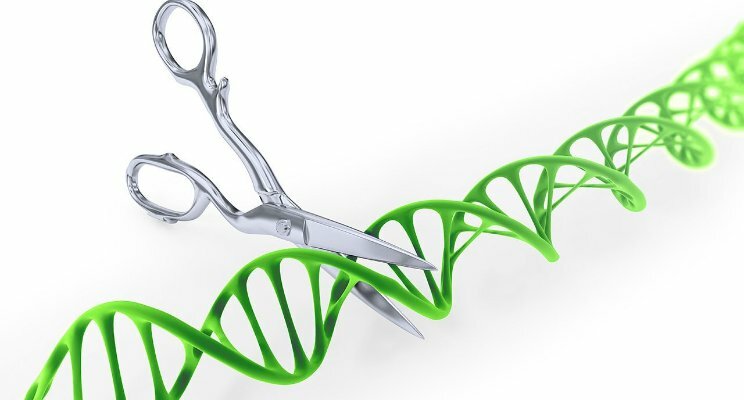 In time, CRISPR can open the door to affordable therapies that offer the right treatment for the right patient at the right time with the aim of minimizing side effects and maximizing positive outcomes. Recently, researchers at the Salk Institute demonstrated that CRISPR could be used to partially restore vision in genetically blind rats. The Salk technique represents the first time scientists have managed to insert a new gene into a precise DNA location in adult cells that no longer divide, such as those of the eye, brain, pancreas or heart, offering new possibilities for therapeutic applications in these cells, the study, published in the journal Nature, said. The rising popularity of CRISPR technology mirrors today’s medical paradigm that is rapidly evolving from treating symptoms to understanding disease at a cellular and genetic level to deliver personalised diagnostics and therapies. Scientists are even looking at the possibility of using CRISPR technology to grow human organs in animals for transplantation, thus effectively tackling the problem of human donor shortages. Studies are also ongoing to use CRISPR to manipulate mosquito genes so that they can no longer spread killer diseases like malaria and dengue. Research is also being conducted into the ecological and agricultural applications of CRISPR technology – from helping protect endangered species to developing pest-resistant crops that would help cut down use of toxic pesticides. The huge potential of CRISPR has expectedly generated immense investor interest. In 2016 alone, the US witnessed the market debuts of three biotech companies focused on CRISPR technology. Editas Medicine and Intellia Therapeutics raised over USD100 million each through their market offerings earlier this year, according to Bloomberg; while Crispr Therapeutics generated USD56 million through its IPO in October. 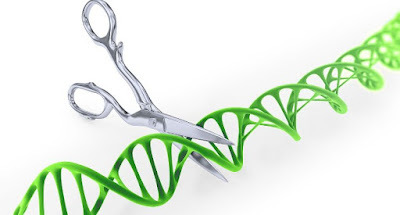 In fact, companies working on CRISPR technology have raised over USD600 million since 2013 in venture capital and the public markets, researchers at Montana State University had estimated in 2015. In the US, the first human clinical trials to study the safety of a CRISPR-based cancer treatment are expected to be initiated in 2017. Interestingly, the trials are being funded by The Parker Institute, a new philanthropy created by tech billionaire Sean Parker to battle cancer. While investments are welcome, the international medical research community needs to be cognizant of the fact that this breakthrough technology is not hijacked by purely commercial interests. The rush to profit from new biomedical discoveries based on CRISPR should not lead to the creation of restrictive patent regimes and monopolistic markets. It should not end up as a model that seeks to sustain super-normal profits by discriminating against patients on the basis of nationality, race and economic status. The focus should firmly be on using CRISPR to develop therapies that fulfil unmet medical needs while ensuring they are affordable and thus accessible. The needs of poor patients and overall public health should not be sacrificed in favour of developing non-essential treatments for rich patients. The game-changing CRISPR technology should lead to new paradigm where those needing life-saving medicines get it, at all times and in all places.